MICHAEL Ryan’s clinical Tipperary battered old rivals Cork by nine points in yesterday’s Munster SHC quarter-final at Semple Stadium. 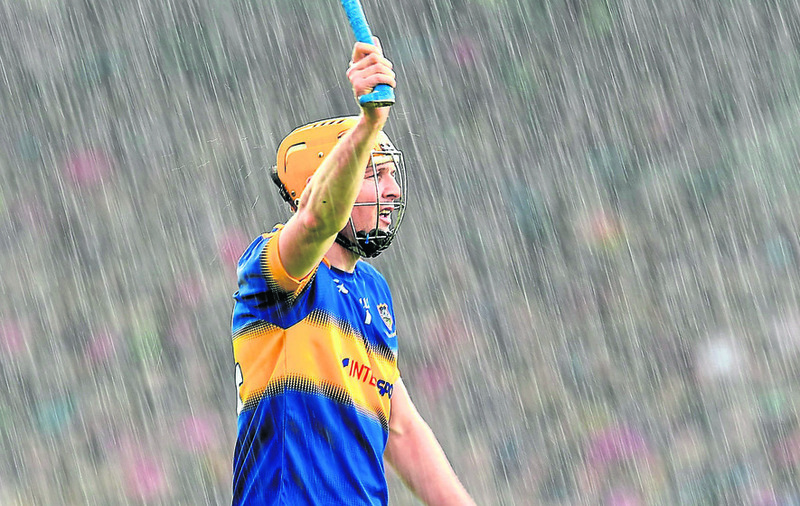 In a poor game played out in front of 29,114 spectators in Thurles, Tipp coped best with desperate weather conditions to book a semi-final spot against Limerick on June 19. 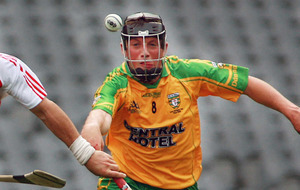 Seamus Callanan and John ‘Bubbles’ O’Dwyer were on song for Tipp, clipping over 0-15 between them as the Premier County put the Rebels to the sword. It was a first championship game in charge for respective managers Michael Ryan and Kieran Kingston – and it was a satisfactory afternoon for Ryan. He said: “We only came for the win. We are delighted with that. Clearly, it wasn’t one for the ages. I think Mother Nature played a significant part in that. “It was almost as if we couldn’t play, despite the best efforts of both teams. It was very difficult to play out there. “The rain, when it started, became quite incessant and there was a significant enough breeze down the pitch. “I think that’s what probably gave us a little bit of a cushion at half-time. The onslaught never really came as Tipp, who led by nine points at half-time, ended up winning by the same margin against defensive Cork. 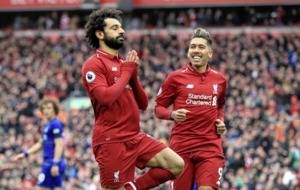 Not even when they were well behind did the visitors throw off the shackles and commit bodies forward, instead deciding to stick to a rigid gameplan. Cork selector Pat Ryan admitted that the Leesiders badly under-performed, with Alan Cadogan the notable exception up front. 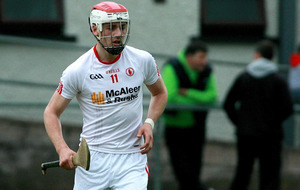 Ryan said: “Our marquee forwards, who are very good intercounty players, didn’t play up to the standard today. That’s a damning indictment of Cork’s efforts and the latest poor result in a dismal campaign. 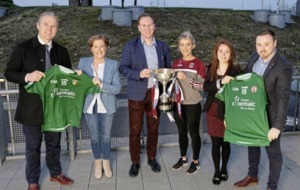 They lost all five Division 1A League fixtures and while victory over Galway staved off relegation in a play-off, another arduous route through the Qualifiers lies in store. 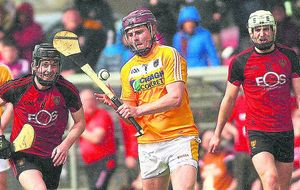 The only major concern from a Tipp viewpoint was a 17-minute barren spell on the scoreboard in the second half. Cork, who trailed by 11 points shortly after half-time, cut the gap back to seven and had the chance to get closer when Patrick Horgan opted for goal from a 20m free, when a white flag was the wiser option. Tipp kicked back into gear and led by 10 points down the home straight before cruising to a big win. Tipp had four Championship debutants in their starting line-up but you’d hardly have thought it as they cantered to a routine win. Bigger tests lie in store down later in the season, of course, but the pressure was on Tipperary and they delivered for manager Ryan. When Tipp were moving fluently in the first half, their movement up front was too much for Cork to cope with. 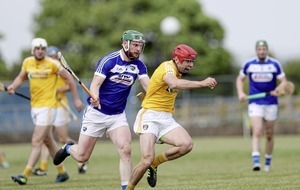 Kingston’s men opted to play against the breeze from the start despite winning the toss and Tipp took full advantage to build up a comfortable interval lead. Callanan and O’Dwyer popped over some lovely long-range scores while at the other end, the Tipperary defence was underworked as Cork’s forwards struggled to make any kind of impact. All over the field, Tipp got their match-ups pretty much spot on and the marquee forwards that Cork selector Ryan referred to – namely Horgan and Seamus Harnedy – endured forgettable afternoons.